OTTAWA — The Canadian government announced today that any move by neighbouring US government to send singer Justin Bieber back home is ‘unconscionable’ and would be considered an act of war. 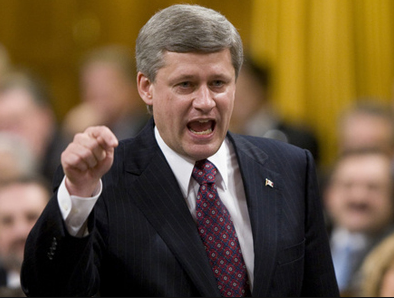 Speaking from the PM’s Office in Parliament Hill, Prime Minister Stephen Harper said that the current effort by Americans to deport the 19-year-old through the online petition to the White House is of ‘major concern’. Bieber, who recently ran afoul of the law after he was arrested for drag racing and DUI in addition to resisting arrest in Miami, became the latest subject in the White House’s Online Petition initiative. Concerned Americans fed-up with his spoilt-brat antics filed a petition calling for the deportation of the superstar back to his home country or anywhere ‘that’s not the US’. 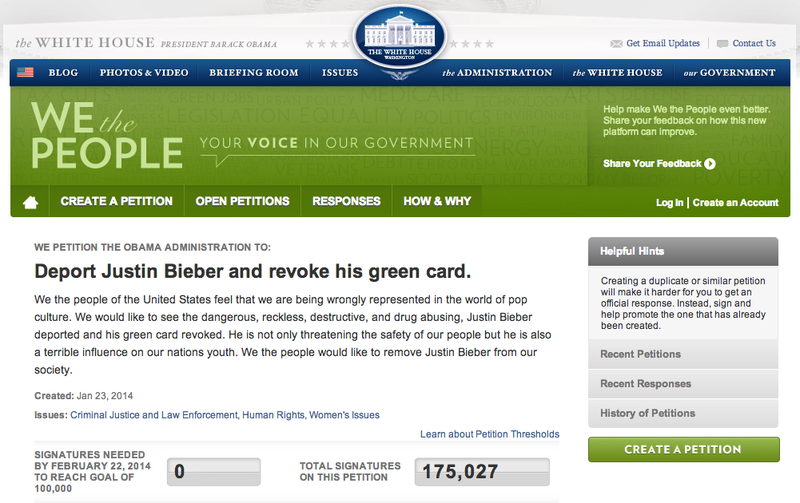 According to the website, the White House promises to review any petition by the public which gathers more than 100,000 signatures in 30 days, and the ‘Deport Bieber’ petition surpassed 175,000 in just 6 days. Bieber, who rose to stardom under the mentorship of pop singer Usher via songs such as ‘Baby’, ‘Boyfriend’ and ‘Never Say Never’, movie and TV appearances as well as hooking up with Selena Gomez, has had a stellar career in the short span of 5 years, amassing a personal fortune of US$160 million. However, the constant spotlight has somehow turned the youngster into a rather unpleasant and wild person who has no issue getting high or drunk, terrorising neighbours, bringing exotic monkeys into other countries and urinating into random janitor mop buckets. Harper added that it’s not proper for countries to import something only to try to return it just because it’s gone rotten. “Look, we gave the US Avril Lavigne, Alanis Morissette, Shania Twain and Celine Dion, and the country had no problem enjoying our gifts and exploiting the products of the Canadian creative environment. They were all great, iconic personalities which brought nothing but happiness to your country. You give them Green Cards, but once one of them gets bad and unruly, you want to send it back? That’s not fair — you gotta take the good with the bad, eh? The PM said that the border authorities had been instructed to increase its patrols to ensure Bieber doesn’t get through.